Maurice R. Hilleman is Director of the Merck Institute for Therapeutic Research. He is credited with developing more vaccines than any other person in history. 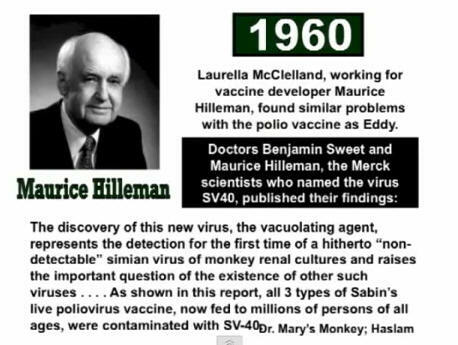 Dr. Hilleman pioneered the development of numerous live, killed, and combined vaccines including measles, mumps, rubella, Marek's disease, hepatitis A, hepatitis B, adenoviruses, and the commercial evolution of vaccines against meningococci and pneumococci. “I said cancer. I said Albert, you probably think I'm nuts, but I just have that feeling." "Maurice R. Hilleman Ph.D., a leading expert on immunization, developed over 40 vaccines and published more than 480 original articles on virology, epidemiology, immunology, and infectious diseases. To put all this into perspective: In 1991, we have an international expert (and the # 1 US vaccine expert) on vaccines telling the chief of the vaccine division of the largest US vaccine manufacturer that it is imperative to immediately produce mercury-free vaccines for Scandinavian children in order to avoid exposing them to unacceptable levels of mercury and to guarantee a market share. In a leaked 1991 memo, Dr. Maurice Hilleman, then Senior Vice President of Merck and an internationally recognized vaccinologist, raised concerns regarding mercury in vaccines after calculating that exposure for a 6 month old was 87 times too high. The memo called attention to the DPT vaccine, which due to the many reports of adverse reactions and brain damage spurred Congress to create the VICP. The Film About Vaccines You Simply Must See - WARNING! Don't get another vaccination until you've seen this video. The life you save may be your own or those that you love. This stunning censored interview (top) was cut from the TV program The Health Century due to its huge liability -- the admission that the Merck drug company has been injecting cancer viruses into people worldwide. 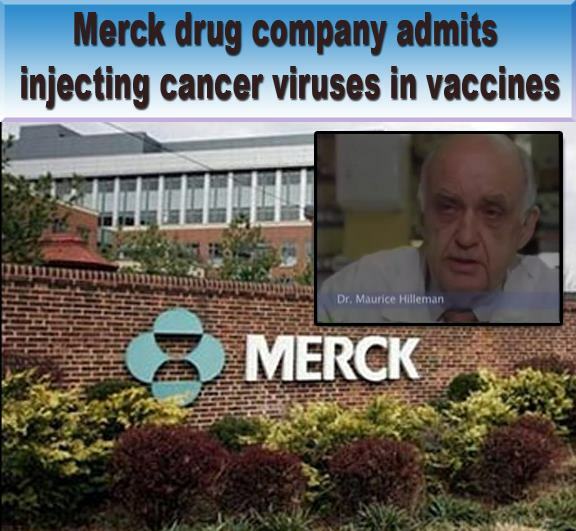 This film is produced and freely distributed by consumer protector and public health expert, Dr. Leonard Horowitz, and features the world's leading vaccine expert, Dr. Maurice Hilleman, explaining why Merck's vaccines have spread AIDS, leukemia, and other horrific plagues worldwide. It may seem inconceivable to some of you, but disease is Big Business. And, if you’re cynical – which seems to become easier with each passing day -- it’s a way to achieve population control while making huge profits in the process.